Sealy. History. Heritage. And an undying dedication to helping the world sleep better. 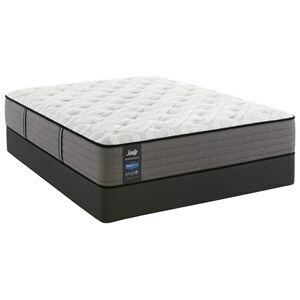 Lie on any Sealy mattress and you channel a century and a quarter of mattress ingenuity. A journey that began in 1881 in the town of Sealy, Texas, when Daniel Haynes, cotton gin builder, filled a request for a cotton-filled mattress. And then another. And then another. His business grew exponentially, which led to more innovations and several patents. Among them, a machine that compressed cotton. Fifteen years later, Haynes sold his patents to a Texas Company that retained the Sealy handle. Soon after, ad exec Earl Edwards penned the slogan “Sleeping on a Sealy is like sleeping on a cloud.” And with that, Sealy mattresses were a national phenomenon. By 1920, Sealy had 23 licensed plants in many regions. Even in the face of the Great Depression, they managed to not only stay afloat, but to introduce a new product–the Button-Free Innerspring. The innovations didn’t end there. Sealy continued their quest for the world to sleep better for decades to come. Milestones include the introduction of the Sealy Posturepedic mattress. Being the first mattress company to display and advertise a king-sized bed. Creating an Orthopedic Advisory Board. Reinventing the innerspring coil and the box spring. Patenting a variety of groundbreaking technologies, including Posture Channels and Pressure Relief Inlays designed to relieve pressure points that cause tossing and turning. And the list continues to grow to this day. In late 1983, Sealy purchased the Stearns & Foster Company. True to the Sealy heritage, these mattresses redefined luxury and expressed a dedication to craftsmanship and intricate detail. 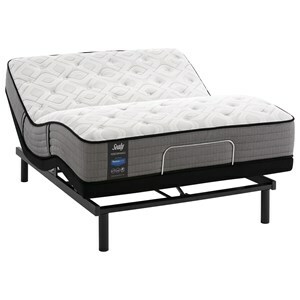 Making it a perfect and sound addition to the Sealy family of beds. 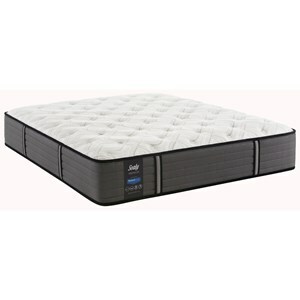 Most recently, Embody by Sealy mattresses were unveiled. These breakthrough mattresses brought a new ideal to the mattress surface: health. With progressive latex and memory foams, Embody by Sealy mattresses brought healthier sleep surfaces and even healthier room environments to consumers. Another shining example of Sealy innovation at work. Today the company owns and operates 25 bedding plants in the U.S. Three are dedicated to innerspring and foundation component parts and one is dedicated to producing its very own latex–another first in the mattress industry.